The Manitoba government and SAFE Work Manitoba are launching a new online Young Worker Readiness Certificate course to teach youth the basics about workers’ and employers’ rights and responsibilities for safety and health in the workplace. Employers seeking to hire a worker under the age of 16 are required to confirm the successful completion of the course and keep a copy of the Certificate as an employment record. The Young Worker Readiness Certificate is transferable from employer to employer, meaning youth only need to complete the course once. “The new online training course will better prepare young Manitobans for entering the workforce and help keep them safe,” says Minister Pedersen, noting a person must be 13 years of age to work in Manitoba, and employers must follow rules to protect the safety and health of young people in the workplace. Young people aged 13, 14, or 15 cannot work between the hours of 11 pm and 6 am, and cannot work more than 20 hours per week during a school week. Additionally, 13-year olds in the food preparation industry cannot work with dangerous tools or machinery, such as knives, slicers or deep fryers. 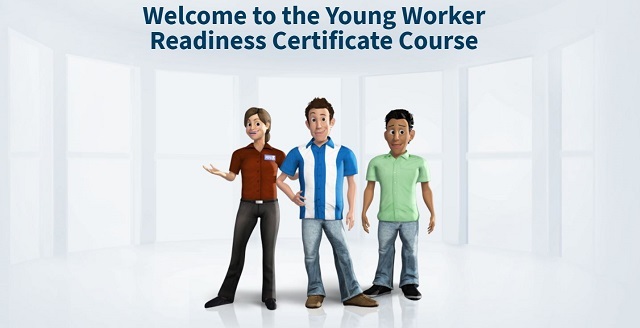 Administered by the Manitoba government and developed in partnership with SAFE Work Manitoba, the Young Worker Readiness Certificate Course can now be completed online at https://ywrcc.safemanitoba.com.